Yes, that’s a bunny nibbling a carrot. Peter Rabbit, right in front of us at Hagerman’s in Prince Edward County. We could barely keep it together. 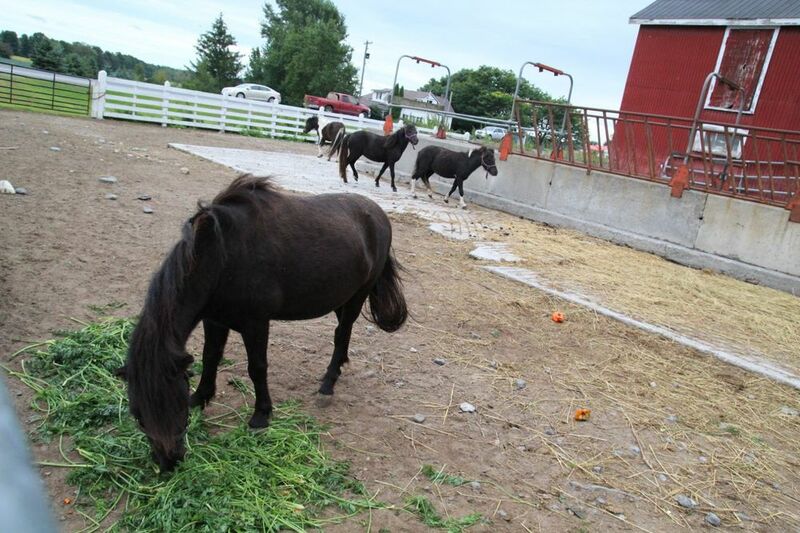 Farm stands like Hagerman’s are abundant in PEC, and we stopped into as many as we could to buy snacks and – if we’re honest – fawn over the animals. At Hagerman’s we filled up a basket with greens, herbs, bright yellow pan squash, tomatoes, and a cavolfiore (romanesco), a type of pale green, peaked cauliflower. I ate them all the time in Italy, and they’re addictive when roasted with olive oil and salt. 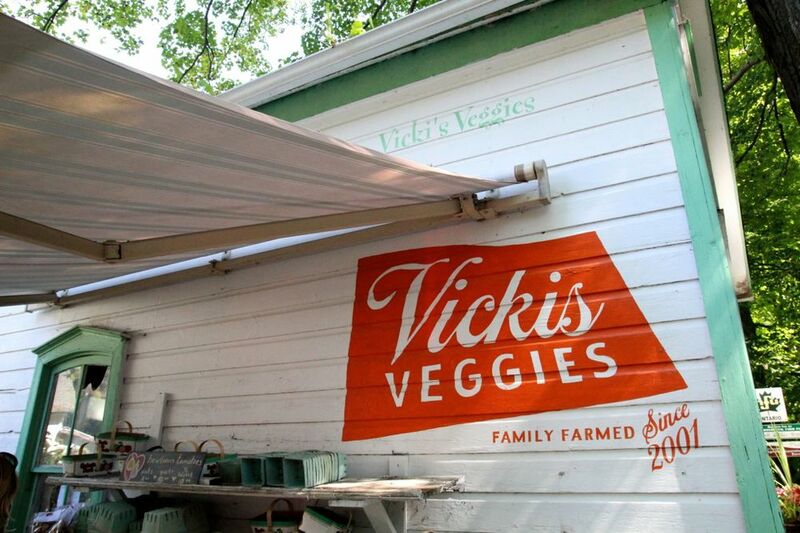 On another day we biked to Vicki’s Veggies, which our friends in Toronto had recommended. It’s owned and operated by Vicki Emlaw and Tim Noxon, who grow all kinds of non-certified organic vegetables, herbs, fruit, and flowers on 10 acres. They’re remarkable for a number of reasons, one of which is their gorgeous roadside stand we visited by bike. There were tables of produce outside, as well as more fresh and value-added goods inside like homemade basil pesto and dried herbs. One product Vicki’s is especially famous for is several varieties of barrel-aged hot sauce; and it’s in such high demand they were currently sold out. We did, however, sample some at the Levy’s in Mississauga, and it was extraordinarily good (this, coming from a girl who puts hot sauce on her food about once a year). Next time I’m in the area I’ll stock up. 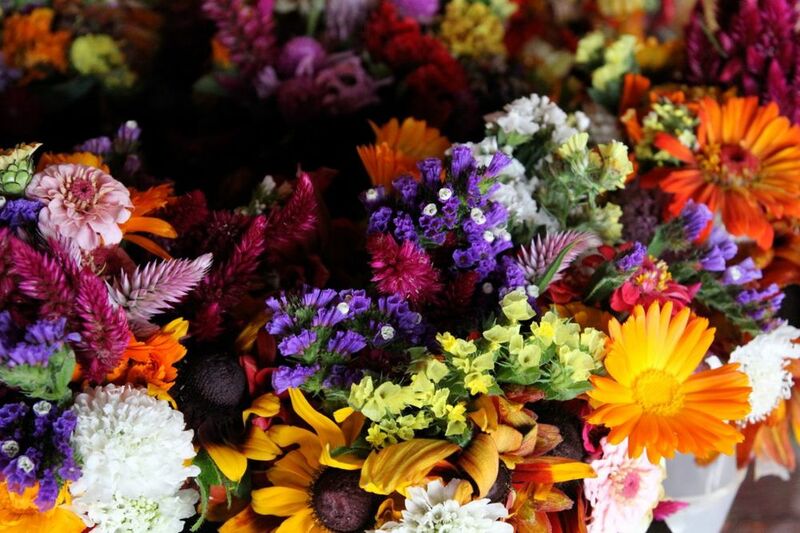 If you can, we’d highly recommend visiting farm stands such as these two. Carrot-nibbling bunnies aren’t guaranteed, but if you happen to find one, we guarantee it’ll make your day. Maybe even your month.